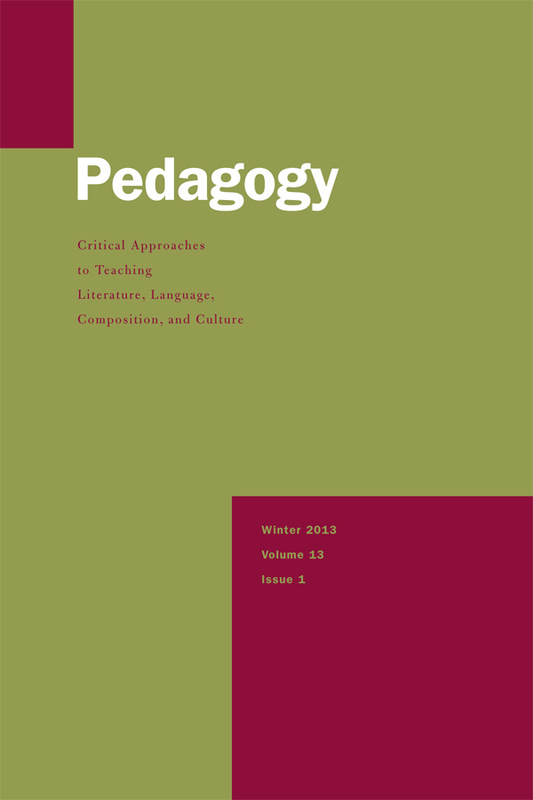 On Critical Pedagogy. Henry A. Giroux. New York: Continuum International Publishing Group, 2011. The Evolution of College English: Literacy Studies from the Puritans to the Postmoderns. Thomas P. Miller. Pittsburgh, PA: University of Pittsburgh Press, 2011. Teaching the Literature of Today’s Middle East. Allen Webb, David Alvarez, Blain H. Auer, Monica Mona Eraqi, Jeffrey A. Patterson, Vivan Steemers. New York: Routledge, 2012.